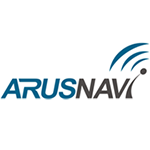 Arusnavi is a Russian satellite monitoring devices manufacturer founded in 2004. Its Headquarters is situated in Kuzbass with Russian Federation being a primary trade area. Arusnavi specializes in hardware manufacturing. Company devices are used to track moving units, including ground transport (vehicles, motorcycles, bicycles and etc. ), and for personal tracking purposes. The chart below shows the changes within the last 30 days in the number units of Arusnavi devices type are connected to Wialon Data Center.